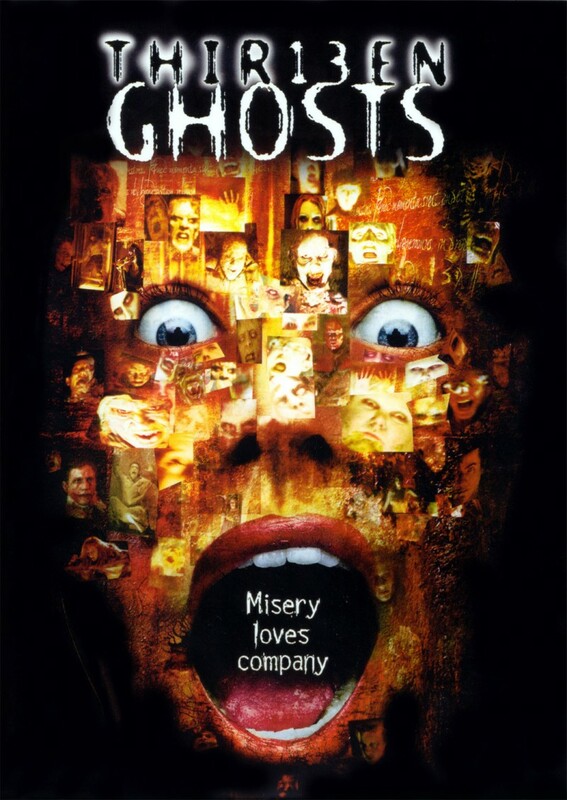 Thirteen Ghosts (Thir13en Ghosts) is a remake of the 1960 horror film, 13 Ghosts, written by Robb White. When the original film premiered, scenes involving ghosts were shown in Illusion-O: audiences received viewers with red and blue cellophane filters, giving them a choice to see the ghosts (look through the red filter) or not (blue filter “removed” the ghosts). One by one, the 12 ghosts of the black zodiac are released, each of which has a biography rich in mental illness. The film allows for the discussion of Antisocial Personality Disorder from 12 converging perspectives, each explained by the biographies of the 12 ghosts of the black zodiac (Table. 1). Billy Michaels allows for the discussion on Conduct Disorder (CD), as both Saw (John Kramer) and The Shining (Jack Torrance) are movies with main characters depicting Antisocial Personality Disorder (APD). Since APD can only be diagnosed in patients 18 years of age or older and requires the onset of CD prior to the age of 15, the boy-ghost illustrates its cardinal sign: a repetitive and persistent pattern of behavior in which major age-appropriate societal norms are violated. Biography: The Torso is the ghost of Jimmy “The Gambler” Gambino. One day, Jimmy bet heavily on a boxing match, and tried to slip out of town when he lost. The mob caught up with Gambino and dumped his corpse into the ocean. His ghost is just his torso, trying to walk around on its hands, while his head lies nearby screaming within the cellophane he was buried in. When his eccentric uncle dies, Arthur Kriticos moves his family into a bequeathed mansion haunted by malevolent ghosts. There is literally danger around every corner, as the spells that keep the ghosts at bay are broken, unleashing the 12 tortured souls onto their new landlord and his family. The differential diagnosis of clinically significant gambling includes professional gambling, impulse dysregulation elsewhere classified (e.g. Antisocial Personality Disorder), and Gambling Disorder. Individuals with Antisocial Personality Disorder and Gambling Disorder are at risk for incurring debts (e.g. “chasing” one’s losses) as portrayed by Butch Coolidge. Biography: The Bound Woman is the ghost of Susan LeGrow, a privileged girl who cheated on the star football player, Chet Walters, at the prom. The next morning, her body was found buried at the 50-yard line. Her ghost dons a prom dress, hanging suspended by Chet’s tie around her neck. Given the drama at the prom, The Bound Woman is an allusion to Stephen King’s Carrie. While Antisocial Personality Disorder may once again be in the differential diagnosis, King’s 1976 horror film is symbolic of Anorexia Nervosa. Anorexia Nervosa may be conceptualized in psychodynamic terms as a reaction to the demand that adolescents behave more independently and increase their sexual functioning. Patients then replace preoccupations about eating for other age-specific pursuits. A character analysis of Carrie reveals an adolescent who is unable to separate psychologically from her mother. Her body is perceived as though it is possessed by an introject of an intrusive, domineering and unempathic mother. Starvation serves as an unconscious means of starving and destroying the internalized mother-object. Biography: The Withered Lover is Jean Kriticos, the wife of Arthur, the movie’s protagonist. Jean was burned severely while trying to save her family from a devastating house fire, and later died of her wounds. Unlike the other ghosts, she is not a vengeful spirit. On January 1, 1888, Randolph (Ran’l) McCoy’s house was burned to the ground and numerous family members slain by the Hatfields. Rand’l’s wife, Sally, was badly injured in the fire, and eventually died in a mental hospital (in a hospital gown). The blood feud between the Hatfields and McCoys is one marked by – you guessed it – Antisocial Personality Disorder. However, what’s more striking is the role alcohol played in inducing and perpetuating the families’ personality traits. Biography: The Torn Prince is the ghost of Royce Clayton, a gifted high school baseball player with a superiority complex. In 1957, he was challenged by a greaser to a drag race, but was killed when his car spun out of control and flipped over; the cause of the accident was a cut brake line. His ghost carries a baseball bat, and parts of his face and body are torn from when he was dragged under the car. The Torn Prince is an allusion to the Baseball Furies of the 1979 cult classic, The Warriors. In his thriller, Walter Hill merges Antisocial Personality Disorder with the gang mentality, and sprinkles in some empathy (the Warriors) to create audience ambivalence. Biography: The Angry Princess is the ghost of Dana Newman, “someone so ugly on the inside, she couldn’t bear to go on living if she couldn’t be beautiful on the outside” (Se7en, 1995). Her preoccupation with perfection leads her to find employment with a plastic surgeon, where her wage was paid in cosmetic surgeries. When a self-inflicted procedure goes horribly wrong, she commits suicide. Her naked ghost is holding the very knife she killed herself with. American Mary is a Canadian horror film directed by the “twisted” Soska sisters that, like The Angry Princess, merges themes of Antisocial Personality Disorder and Body Dysmorphic Disorder. Biography: The Pilgrimess is the ghost of Isabella Smith, a young woman who sailed across the Atlantic in 1675 to start a new life in a New England colony. Upon her arrival, the town’s livestock began to mysteriously die. A local preacher accused her of witchcraft. She was sentenced to a slow death in the stocks where children stoned her, women cursed her, and men spat on her. Her ghost is walking around with her hands still locked in the stocks. In the video tape titled “10/31/98,” a group of friends attempt to rescue a woman undergoing an exorcism. In both cases, young women “who are different” are condemned to death reminiscent of the Salem Witch Trials. While the evil at the heart of a witch may inspire a nature-versus- nurture debate on the etiology of Antisocial Personality Disorder, a substance-induced personality disorder must first be ruled-out. Numerous hypotheses have been formulated to explain the occurrence of the Salem Witch Trials in 1692 (17 years after Isabella was killed). One theory is that of substance-induction, specifically; personality change due to the ingestion of grain contaminated with ergot, a group of fungi of the genus Claviceps that grows on rye and related plants. Biography: The Dire Mother is the ghost of Margaret Shelburne who was a woman who stood at a mere three feet tall. A showman (a la Sam Torr) convinced Margaret that he should exhibit her. Upon agreeing, she was raped by the Tall Man and gave birth to Harold, “The Great Child,” who weighed over 300 pounds. One day, some circus workers decided to play a cruel joke on Harold by kidnapping Margaret. Upon finding his mother dead in the sack she was kept in, Harold violently chopped the workers to death with an axe and placed their remains on display. Later, an angry mob tore Harold apart. Their ghosts are always together and The Great Child still holds the axe he used to kill the circus workers with. Whereas The Bound (underweight) Woman is an allusion to Carrie and her omnipresent mother (the film is a metaphor for Anorexia Nervosa), The Great (Overweight) Child & The Dire Mother are enmeshed, the etiology of Bulimia Nervosa. Carnivals and “freak shows” serve as rich venues to study the group dynamic that may contribute to antisocial traits. For example, under the guise of being a talent scout, Stanley (American Horror Story: Freak Show) attempts to murder or capture some of the performers to sell them to the Museum of Morbid Curiosities. Biography: The Hammer is the ghost of George Markley, a blacksmith who was wrongfully accused of stealing. A gang led by his accuser hanged his wife and children and burned their bodies. George killed his accuser with his sledgehammer. He was then subjected to a cruel form of “frontier justice,” being chained to a tree and executed by having railroad spikes driven into his body. The mob then cut off his hand and attached the sledgehammer to the wrist. His ghost is seen with the railroad spikes protruding from his body and a sledgehammer for a left hand. Both “The Hammer” and Candyman myths are about African Americans wrongfully accused, persecuted by a mob, killed, with their hands cut off and replaced by weapons. Hence, both are cultural warnings about revenge (taken by those wrongfully accused), and as urban legends, help a culture lend explanation to random events of violence. Biography: The Jackal is the ghost of Ryan Kuhn. Born to a prostitute in 1887, Ryan began attacking prostitutes by his early adult years. He was committed to Borinwood Asylum where he perished in a suspicious fire. His ghost is in his undone strait-jacket with his head locked in a broken cage. Ryan Kuhn is The Jackal, the Manson spirit, aptly named given his shared developmental history with Charles Manson. Hence, the 11th ghost represents severe Antisocial Personality Disorder and sociopathy. Biography: The Juggernaut is the ghost of a serial killer named Horace “Breaker” Mahoney. Standing seven feet tall, Mahoney “went mad” following the death of his parents, picking up female hitchhikers and tearing them apart with his bare hands. One day, he picked up an undercover female police officer, who called for backup, bringing in a SWAT team that took Horace down in a hail of bullets. His ghost shows bullet holes all over his clothing, and the round that finished him, in the center of his forehead. As imposing serial killers go, Breaker Mahoney is the spirit of the “Co-ed Butcher,” Ed Kemper. Standing 6 ft 9 in and weighed about 280 pounds, Kemper killed 10 people, 1 less than his fictional counterpart. Much like the 11th ghost, Mahoney depicts severe Antisocial Personality Disorder and sociopathy. 13 The Broken Heart Arthur Kriticos The Grinch; Elphaba (Wicked, 2003) There are several examples of people whose hearts grow cold; the 2 listed are favorites who are "green" with envy.